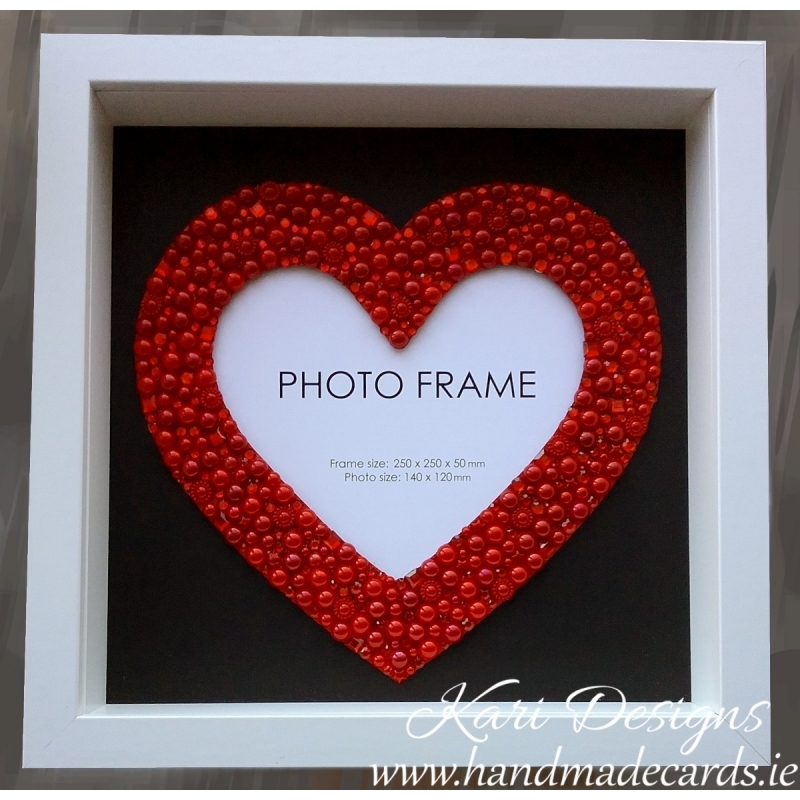 Handmade Photo Frame with beautiful red heart made from pearls and diamonds. 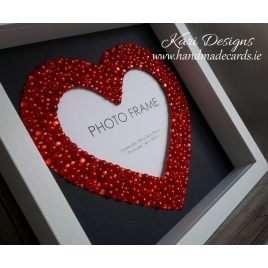 Beautiful Handmade Photo Frame with sparkly red heart on black background, made from red pearls and diamonds.. 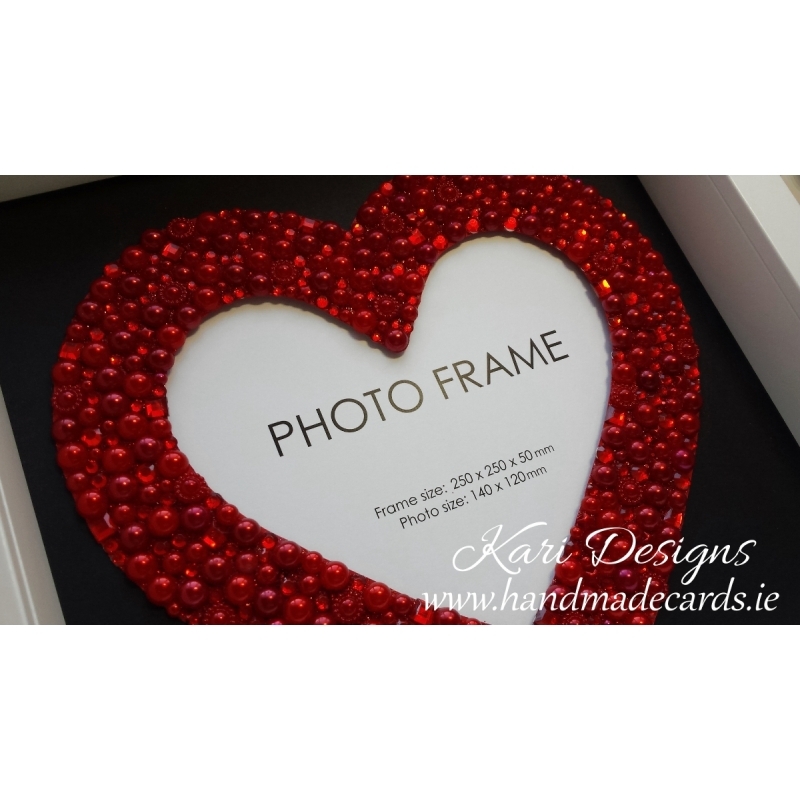 The frame can be personalised with your own verse or you can add your own photo inside. Frame is in black or off white colour (let us know which one) with Polystyrene glass (safe for posting).